In an analysis conducted and published by the British Dental Journal, scientists found that those with dental phobia were more likely to have one or more teeth with cavities than the average adult. They also found that they were more likely to have more missing teeth on average. One of the biggest parts of maintaining proper oral care includes visiting your dentist every six months. Luckily, there are ways to get the care you need without anxiety or dental implants in Longmont. While at-home care is necessary for keeping your oral health in check, it’s not enough to prevent cavities from appearing. Over-the-counter fluoride toothpaste can get the job done well, as well as traditional floss, but it isn’t anything like what you get from your dentist. That’s because they use professional-grade materials to clean your teeth more thoroughly and effectively. Practicing preventive care is the best way to avoid needing expensive restorative care later. If gum disease is apparent, but you don’t see your dentist often enough, they won’t be able to help you address it. Healthy gums are necessary for holding your teeth in and even though you can’t see it, dental plaque will continue to accumulate on the hard-to-reach areas of your gum tissue. You only need to see your dentist every six months as recommended by the American Dental Association. Removing that tough tartar on your gums is key to keeping your teeth healthy. Miss enough appointments and eventually, you’ll need dental implants in Longmont to effectively replace your teeth. 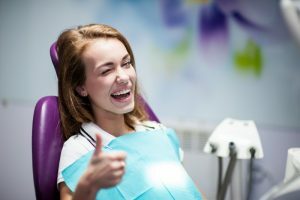 That’s why he offers both nitrous oxide and oral conscious sedation for patients with mild to severe anxiety or difficulty receiving dental treatments. These methods are safe, effective, and easy to administer, so you can get the care that you need without feeling uncomfortable during your treatments. Don’t let fear force you to settle for poor oral health. Schedule a visit with your dentist today to stay on top of your oral care and keep your natural teeth for years to come! Dr. James A. Maurer earned his Doctor of Dental Surgery degree from the University of Minnesota before moving to Longmont. He believes in treating every patient he sees as a member of the family, which is why he’s going the extra mile to help patients get the care they need, regardless of any fears they might have. To learn more about his practice, contact him at (303) 776-2214 or visit his website.